Wyatt mirror . 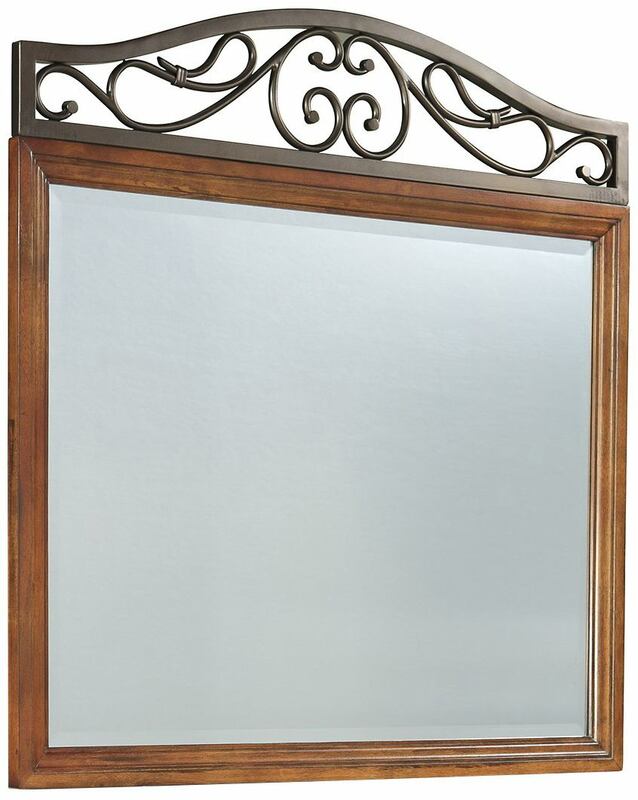 Incorporate the traditional style of beautiful, early American country with this picture frame mirror accented by scrolling metal crown. 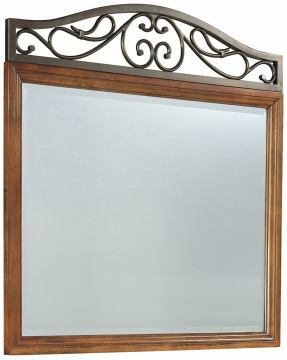 This mirror is the perfect companion piece to the Wyatt nine-drawer dresser and the crowning accent to complete your new bedroom. Capture the essence of rich country design with the medium brown cherry stained finish of this beautiful piece.